Content marketers spend lots of time and money creating just the right content to engage their customers and prospects, but much of it goes unheeded by the most coveted of audiences — the C-suite. Executives are a challenging audience, but because of their clout and buying power, it is well worth cracking the code on executive content. This is particularly true for B2B marketers, where executive relationships are so core to big ticket, ongoing spending. Why are executives different? From our work interviewing hundreds of C-level executives every year, we at Farland Group have extracted the key elements that define the C-suite difference. Their relentless schedules and need to sell and defend decisions make them very focused on outcomes and a clear path to value for the time invested. This group relies even more heavily than others on the advice and perspective of their true peers and those they perceive to be authentic experts. They know the information they need and value, and do not want to waste time with “salesy” pitches and lightweight stories. Hard facts drive credibility… and credibility is key. Content based on data makes an impression on executives; peer-based insights and stories add to the credibility of the data collected. Invest the time to do the research and gather input if you want your story to be heard and respected. Data can come from surveys, conversations, or third-party analyses. Just make sure it helps to make the case on why your points matter to executives and provides supportable and thought-provoking insights. Provide actionable and timely information on issues that matter, in formats that allow ready extrapolation. There has to be a “so what” that comes out of the data and it needs to be up-to-the minute, on topics relevant to the executive’s business, role, and current challenges. Case studies, use cases, pointed summaries of key actions all gain attention from executives if they are built on a credible perspective. Summarize, summarize, summarize. Executives have short attention spans and need to get to value quickly. Deliver your ideas with targeted summaries, succinct points, where the bottom line ideas and actions are easy to extract and consume. Channel matters. With executives in particular, the content has to be easy for them to access, wherever they are — on their iPad during a flight, in a printed paper to peruse after dinner, or in a short video while waiting for a meeting to start. And executives’ interests change as channels change so stay on top of what’s new and what works. Push beyond the common wisdom and top-of-mind trends. Executive content needs to present a provocative vision for future possibilities. Executives seek intriguing, surprising or useful ideas that highlight opportunities to come in areas that tie to their greatest business challenges. Find consistent ways to gather insights from executives on both problems and solutions, and then invest in extracting the most useful output and data to create a story of action and innovative ideas. Evolve from technical to strategic. 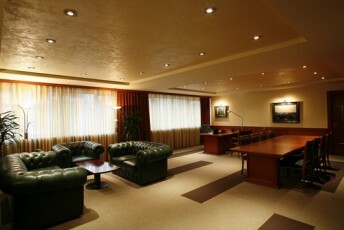 Executives care about how they can solve business problems and enhance revenue and profit. They are not interested in reading about technologies and products—those are only a means to an end and are readily delegated to others to review and purchase. Position solutions in terms of the bottom line and what can help grow the business. Bring in peer stories to lend credibility to these business cases. Executives like to hear from peers in a select number of high-value, high-touch, in-person events; use cases make very effective fodder for these venues. White papers can work with executives but they need to be short, to the point and contain compelling data. Third-party publications — if they are the ones C-level executives actually read — are great for placing compelling stories of what other executives have done or detail data that shows it’s time to pay attention to a trend or an opportunity. 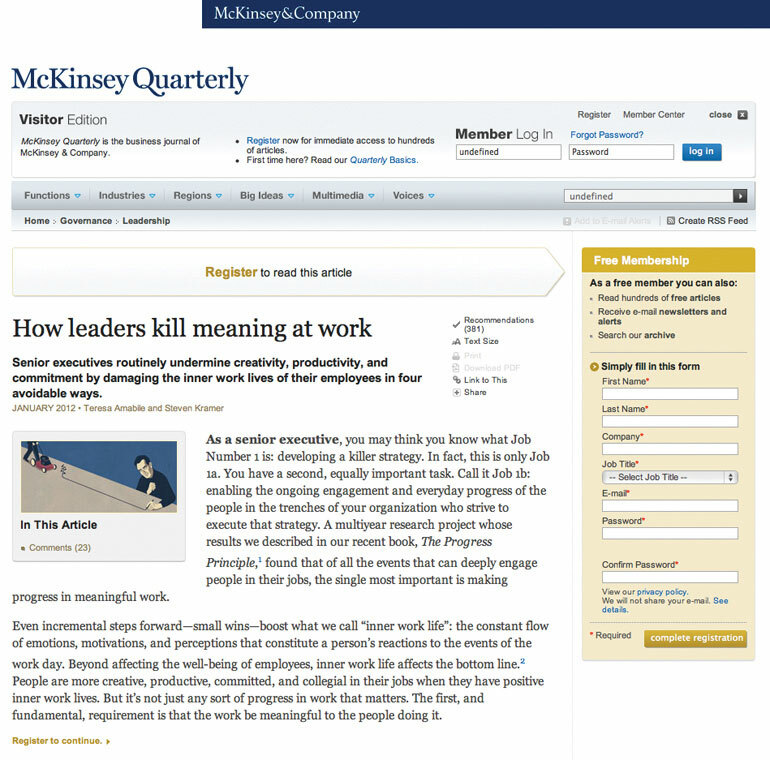 One of McKinsey & Company’s most powerful marketing tools is its business journal publication The McKinsey Quarterly. It has expanded from a print quarterly journal into an ongoing content series on key global business topics, and is now considered a must-read by many senior executives at the world’s largest companies. It is the focus on the following four elements that contributes to the success of this content in connecting to the target executive audience and demonstrating the power of the ideas. The bottom line: Get out and listen to your executive audience members, research and understand their challenges and needs, link your story to value, and reach them where they are.